Date of Construction 1911 AD. Ruean Phra Thanesuan (Phra Thanesuan House) is a single storey teak house with hipped roof, facing east. 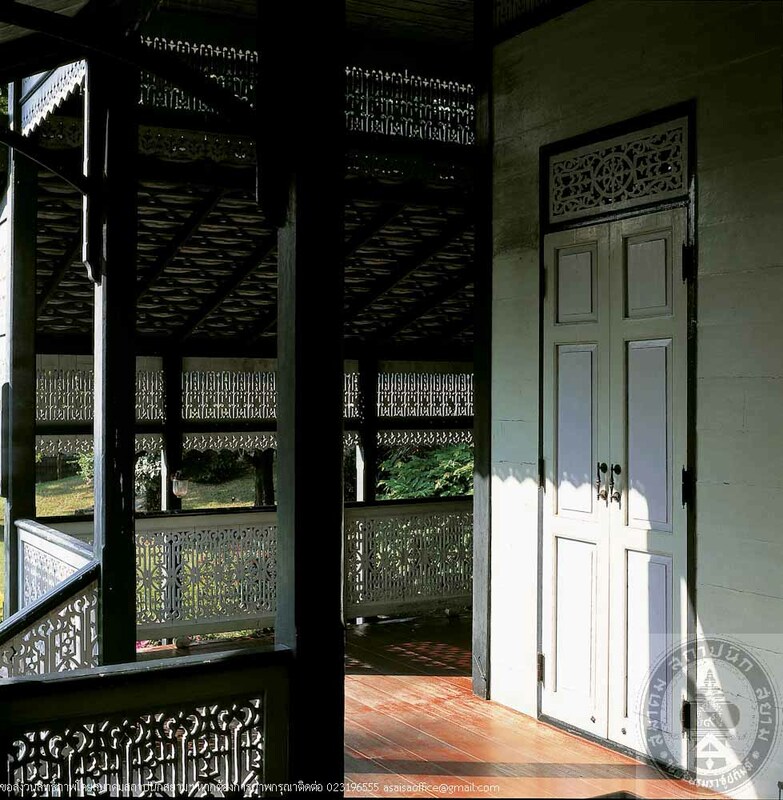 Its architecture is Gingerbread house style which is remarkable for the decoration of fine fretwork at the ventilations, eaves, and wooden balustrades. It is the only building in Sanamchan Palace compound that situates on an islet. Apart from the house, there is a “Sala” or open pavilion located on a contour by the moat. The pavilion is connected to the house with a wooden bridge. Its plan is elongated octagonal. 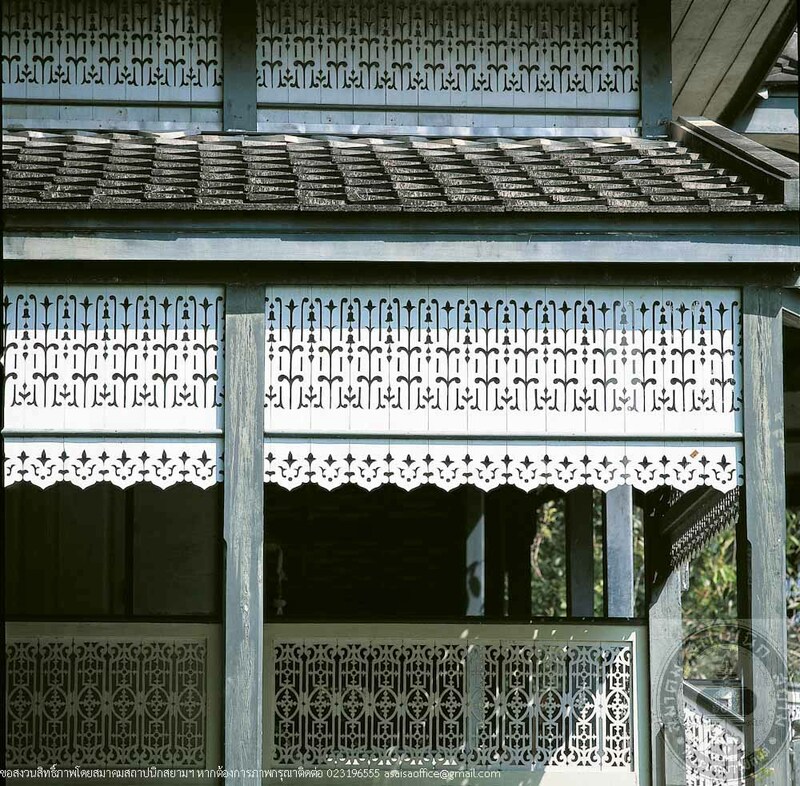 The roof is hipped with clerestorey and also decorated with fine fretwork. This house was built as part of Sanamchan Palace and was used as a residence for high-ranked officials. Official houses in this group are Ruean Phra Nonrhikan (the oresent residence of the Governor or Nakhon Pathom), Thab Charoen (the present Institute of Western Region Culture), Ruean Phra Ekathant, Ruean Phra Kantikeya, and Ruean Phra Thanesuan. 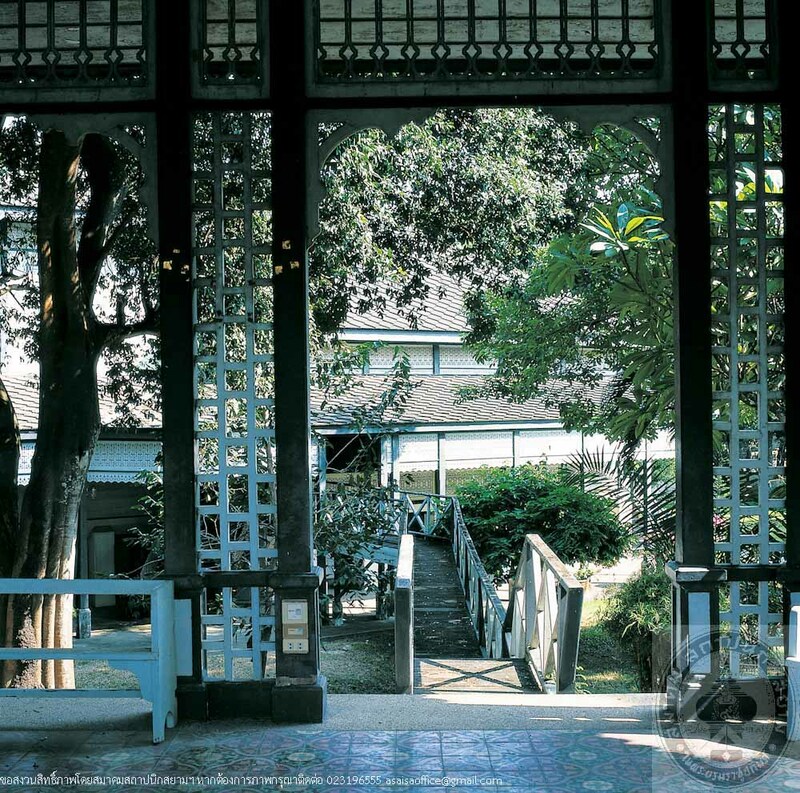 Mom Luang Pin Malakul, who was a royal page in King Rama VI’s reign, related that Ruean Phra Thanesaun is believable to have been the residence of the Ministry of Justice, Chao Phraya Aphairacha. 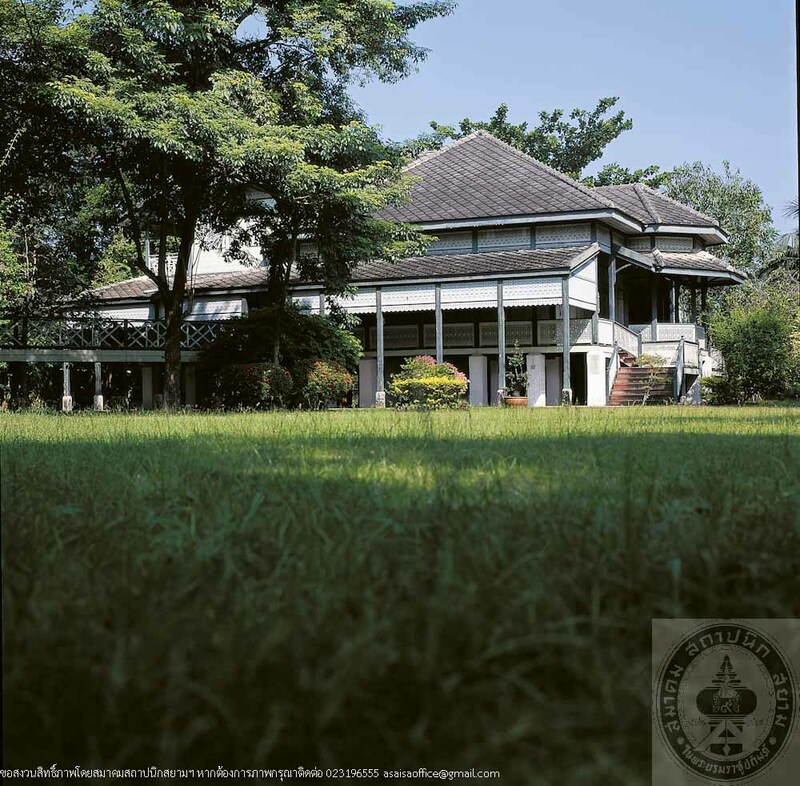 It has become the residence of the chief Judge of the Nakhon Pathom Provincial Court, also an official of the Ministry of Justice as in the old days.